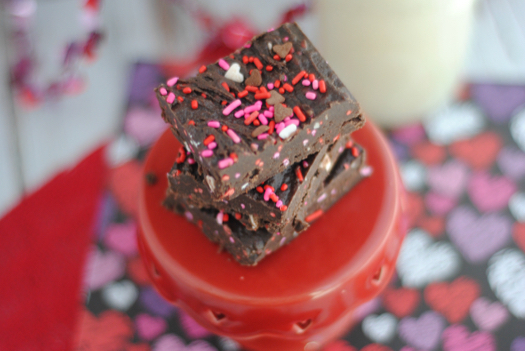 Chocolate and Valentine’s Day go hand-in-hand! That’s why this Chocolate Cake Fudge recipe is a perfect treat on the special day. 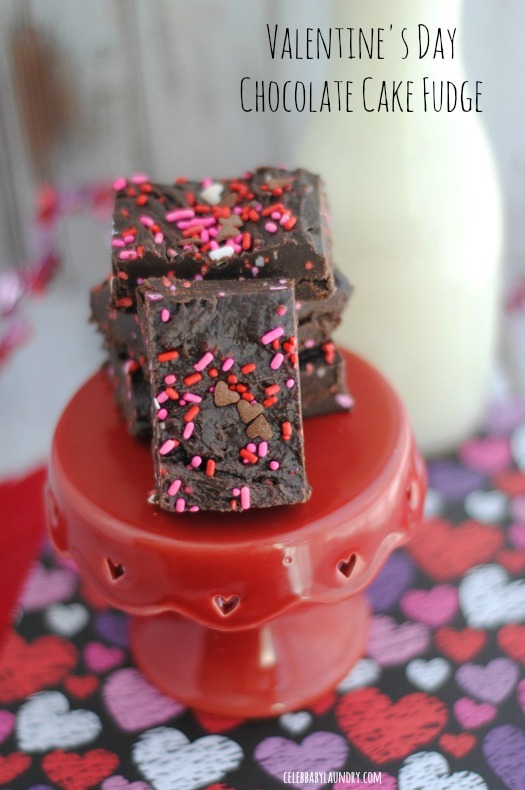 Make the chocolate cake fudge pieces for your significant other or your kids. Everyone in the family will be sure to love them! 1. Combine the dry cake mix and the 2 cups of powdered sugar and set aside. 2. Spray an 8×8 baking dish with non-stick cooking spray. 3. Add the cut up butter and ¼ cup of milk to a small microwave safe dish. Heat for 1 minute. Stir upon removing from the microwave and add to the dry cake mixture. Stir until mixed. Immediately pour in the ¼ cup of Valentine sprinkles. 4. 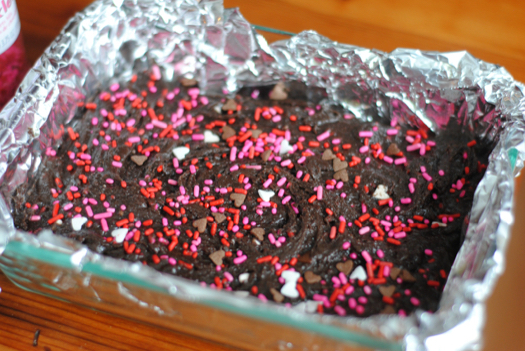 Pour the fudge mixture into the 8×8 baking dish and sprinkle with extra Valentine non pareils on top. Gently press down on the sprinkles to help them stick if needed. 5. Place the fudge in the fridge for 4-5 hours to set. 6. Remove from the fridge and cut into small pieces. *Makes approximately 24 servings. Store covered in the fridge.